The adidas Consortium series is going off this year with the addition of several new 4D shoes. This week, we have a first look at the next entry, which sees Kith’s Ronnie Fieg giving a mid-cut 4D the signature “Aspen” color. The latest entry in the ongoing run of limited edition Futurecraft recently surfaced online, and it may be the most interesting yet. 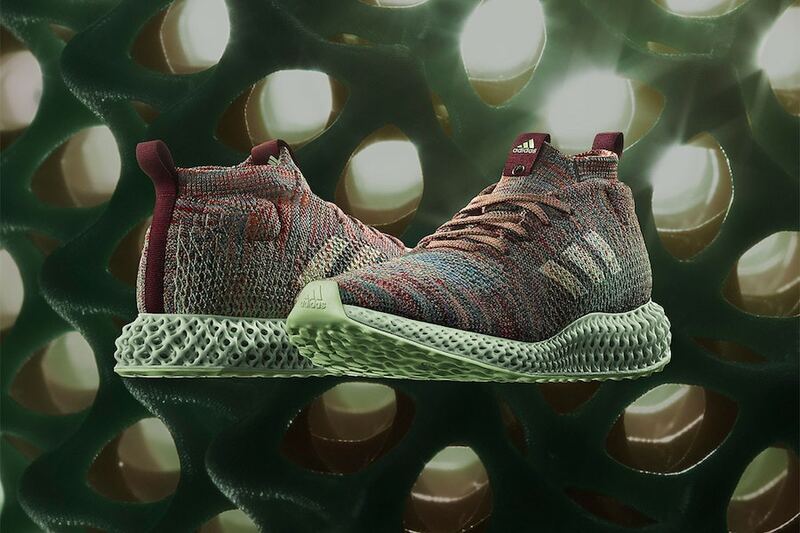 For their next release, adidas has tapped New York’s Kith to give a unique perspective on the fresh technology. While the end result may not have been what we fully expected when Kith was announced as a 4D Consortium partner, the new colorway certainly fits into their history together. 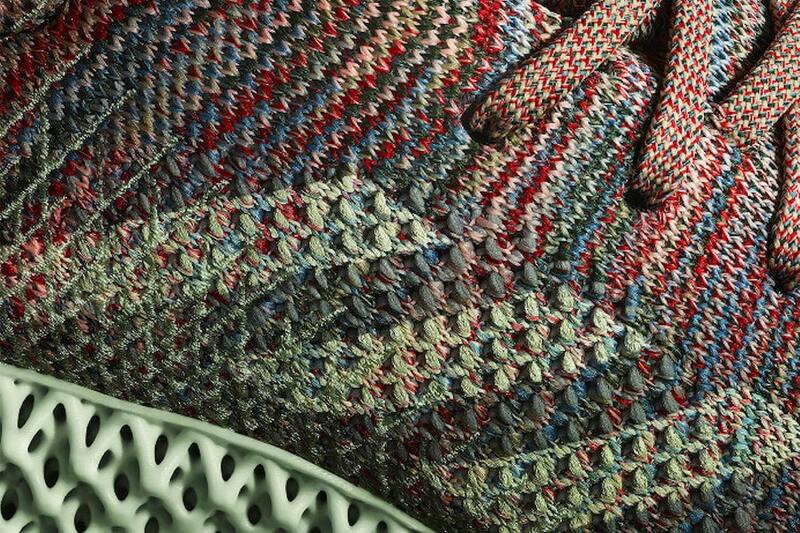 To begin, the upper appears to be pulled directly from the Ultra Boost Mid, a silhouette that Ronnie helped pioneer and is covered in Kith’s signature “Aspen” multicolor pattern. 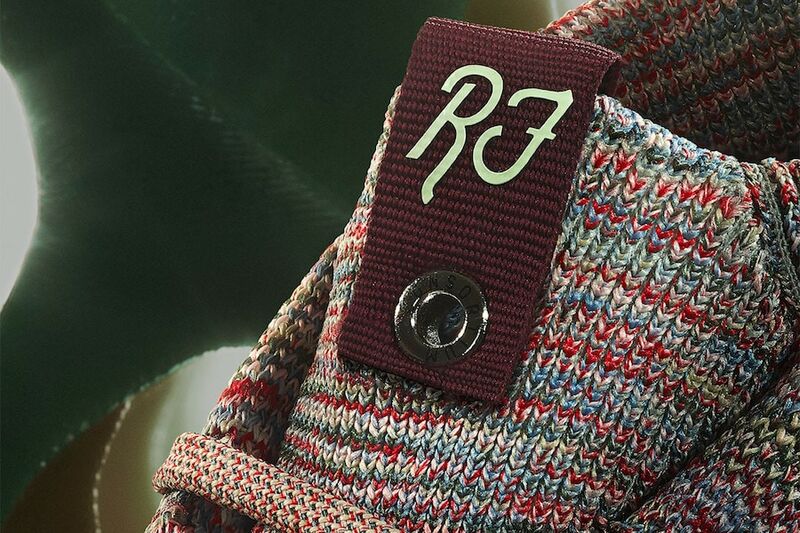 The heel and sidewalls appear to feature Riemen system strands intertwined with the upper to add support, and dyed to match the pale green 4D midsole. 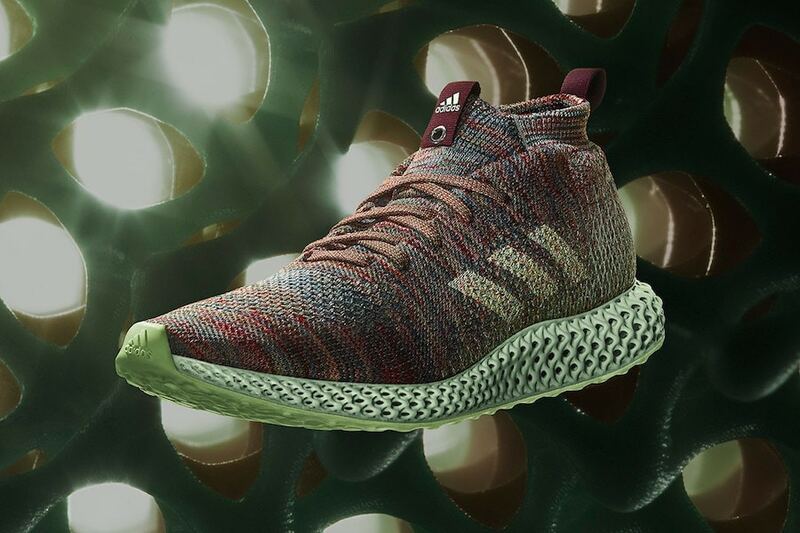 The next entry in the adidas Consortium 4D series has finally been announced for release on November 2nd, 2018. Similar to SNS and Invincible’s pairs, the Kith 4D shoe is likely to release in extremely limited numbers, so don’t get your hopes up quite yet. Check out the early profile shot that surfaced below, and stay tuned to JustFreshKicks for more adidas 4D release information.